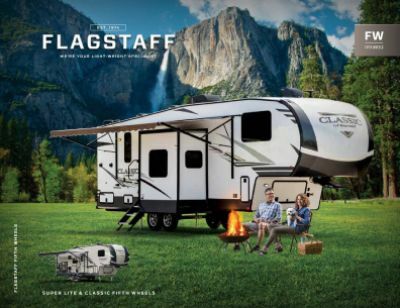 Make your next camping trip an unforgettable one in the 2020 Forest River Flagstaff Super Lite 27RKWS Travel Trailer! At Tradewinds RV Center, we offer a massive inventory of top quality RVs at astonishingly affordable prices, making us one of the premier RV dealers in Michigan - and the nation! Stop on by 4325 W Vienna Rd Clio Michigan 48420 or call us at 810-686-0710 to talk to one of our friendly, knowledgeable, certified RV experts today! They'll show you how you can own your dream RV at a dream price! Don't live in the Clio area? No worries! We have satisfied customers all over North America! With our fast, reliable 24/7 delivery service, you can pick out your dream RV online and it'll be at your door in no time - and you'll save $1000s! Take a break and relax under the shade of the 21' 0" patio awning! Travel with ease, thanks to this rig's sturdy GVWR of lbs. and hitch weight of 745 lbs. Stay warm in the winter and cool in the summer with the 35000 BTU furnace and 13500 BTU a/c. This 32' 3" long, 8' 0" wide, and 11' 2" high Travel Trailer has a total of 3 space maximizing slides, so the livin' is easy! Traveling and outdoor adventures can take a lot out of you, but you'll sleep like royalty in the master bedroom, with its roomy, comfortable Queen bed! 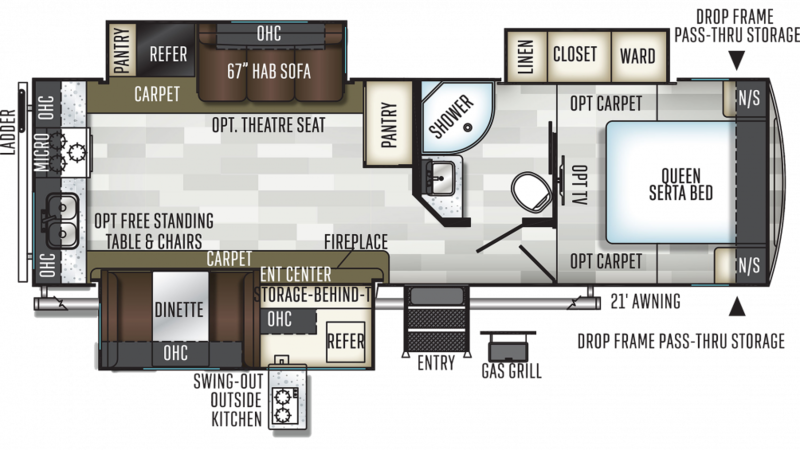 There are enough snug sleeping accommodations in this cozy RV for a family of up to 6! Nothing tastes better than a delicious meal when you're on the road! Thanks to the great kitchen in this Travel Trailer, you'll enjoy them every day. The 3 burner cooktop makes hot breakfasts, lunches, and dinners a snap! And the 8.00 cu. ft. refrigerator lets you stock all your favorite foods and cold drinks! At clean-up time, the 60 gallon freshwater tank and 60 lbs. of LP tank capacity will supply you with plenty of hot water for all the dishes!